At Freestyle Print our aim is to bring your invite ideas to life, from Wedding to Business event. We have worked with couples, businesses and event organisers to create beautiful bespoke invitations that stimulate the theme of the event, wedding or party. Our in-house creative design team are always on hand here to help you pick your brain and create that perfect invite. 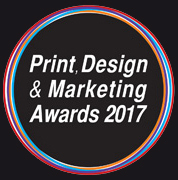 We provide duplexed/triplexed/quadplexed, foiled, debossed, embossed, edged, die cut and much more… Speak to one of the Freestyle Print team to get the very best out of your invitation. We provide expert advice at every stage with strict quality throughout every process. We can produce your invitations with the minimum of fuss, meeting the most demanding deadlines without compromising on quality.